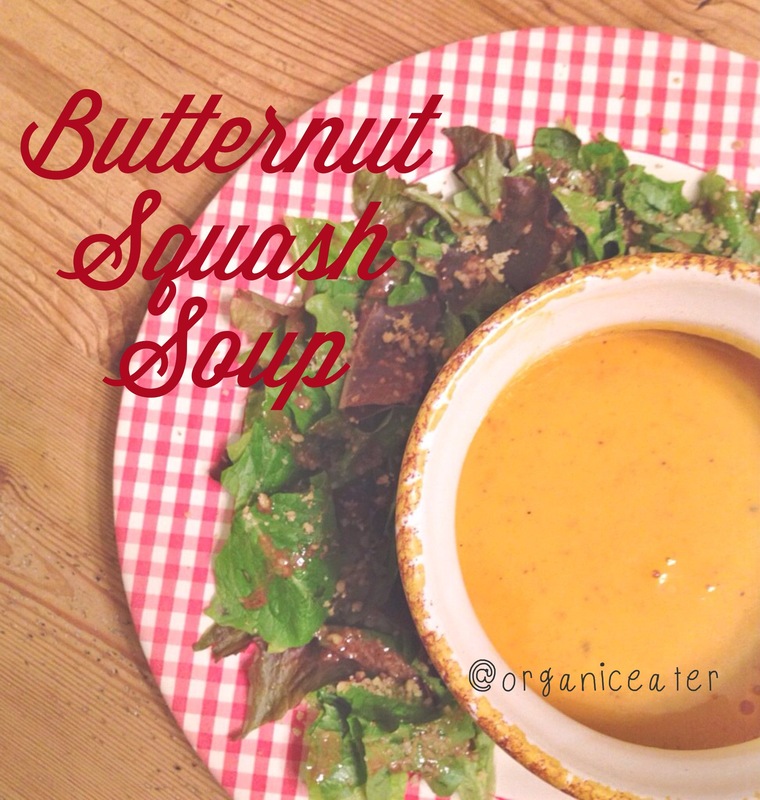 I realized today that my beloved butternut squash soup recipe was not on the blog. I think it’s because after I learned how to make it, I never needed the recipe again. It’s so easy! And so forgiving, you can just add amounts of a few basic ingredients until you get it to your liking. I like to call it “concept cooking” rather than using a recipe. The 3 main parts are the vegetable, stock or broth, and milk of choice. Add seasonings (and apples for sweetness) and you have soup. Use this “concept” to experiment with all kinds of veggie soups like sweet potato, acorn squash, carrot, etc. But here’s a recipe if you would rather have it. This comes from my friend who used to blog at HomeCookedHealthy, but she no longer blogs, and was willing to share her recipe us. 5 cups (app) chicken stock/broth (home made broth is so easy!) Or use less stock and add milk/cream along with stock. Play with this part to get it right for you. Remember “concept” not recipe! If the soup is too thick, add more stock. 1c milk Optional, but gives it the creaminess you may want. I have only used dairy, so I’m not sure how substitutes will work. I use organic or raw whole milk. Optional: parm or roman cheese grated on top. Organic or grass fed, raw (unpasteurized) is best. Oh my yum! And a sprinkle of nutmeg on top looks pretty for guests! In a large soup pot, saute onions in butter until soft. I add garlic and sage (sometimes) and s&p in mine. Add the cooked squash (or raw squash that’s been cubed). Add chopped apple if using. After squash (and apple) is soft, you can use a hand blender or put squash and onions (and apple) in a blender to puree, then return to pot. Stir in remaining ingredients and seasonings and continue heating until warm throughout. You may not need the stevia if you have apples in there. You can also do this in a crock pot on low, after sautéing onions and pureeing all veggies. Eat or freeze in freezer safe jars. Enjoy! Use pesticide free or organic ingredients as much as possible and reference my “good, better, best” list if you need help knowing what to use.